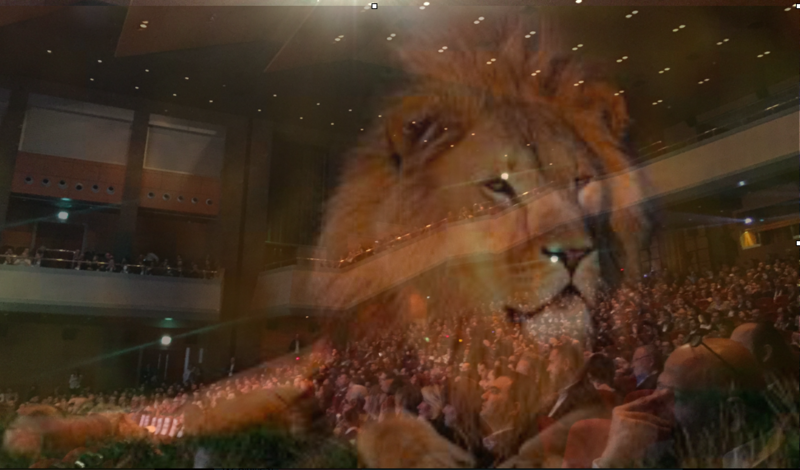 The audience is like a lion. Tame it. Does an audience have feelings? Of course they do. Everyone in an audience has their own feelings and emotions, which is why you as a speaker should not be discouraged if, say, 99% give you a “5” on the evaluation and 1% give you a “1”. That 1% perhaps had a bad day, just found out his wife cheated on them, had a ex-boy friend who looked like you or what ever reason put them in a bad mood on the day you did your talk. But does an audience have a collective mood? That is a more interesting question. Group dynamics is an interesting thing. The fact that a demonstration can suddenly turn violent for no apparent reason. The positive energy that is generated in a football audience when someone decides to start the “wave”. No matter how much we like to think of ourselves as individuals, we are also often just a small part of a big group. And a group has its own “personality” – let’s call it “groupality”. As a speaker it is very important to get a feel of how the audience is feeling as a group, because the mood of the audience is going to effect the quality of your speech. And sometimes it can be really tricky to get a feel of the “groupality” of a group. Today I was speaking to 3000 people in Istanbul at a big retail conference where almost all attendees where from Turkey. There was a positive vibe in the room from the energy that comes from retailers focused on expansion in a dynamic and developing part of the world. But at the same time there was this negative vibe that comes from living in a country that in the recent months had seen serious terrorists attacks, a failed military coup, a refugee disaster flowing over its borders and a political climate that is anything but positive. From the stage at the conference there was one speaker talking about the need for national unity and then the next minute a speaker talking about how Shell had implemented nice toilets for children. Dual messages of optimism and pessimism was colliding and it made it very difficult to read the audience as a group. Now, normally the mood of a group is not so diverse or divided as it was at the conference I spoke at in Istanbul today. But this extreme example reminded me of the need to always try to get a feel of the audience. Some speakers say that you should “pick an audience member” who looks friendly and nice and speak to him or her. I try to avoid that and instead try to think of the audience as one, big, living organism. A giant, wild, but mostly friendly beast that you constantly need to monitor so you can avoid to awaken its anger. Trust me, you do not want to make an audience turn on you. But treat it with the respect it deserves, be friendly and non threatening and constantly monitor it and you will see that an audience – just like a lion – can be a fantastically beautiful creature that you can somehow get to do what you want, even if it is actually stronger and more powerful than you. Previous post: "Sick leave vs leave sick." Next post: "Five most common mistakes leaders do when they give a speech, according to a professional speaker."